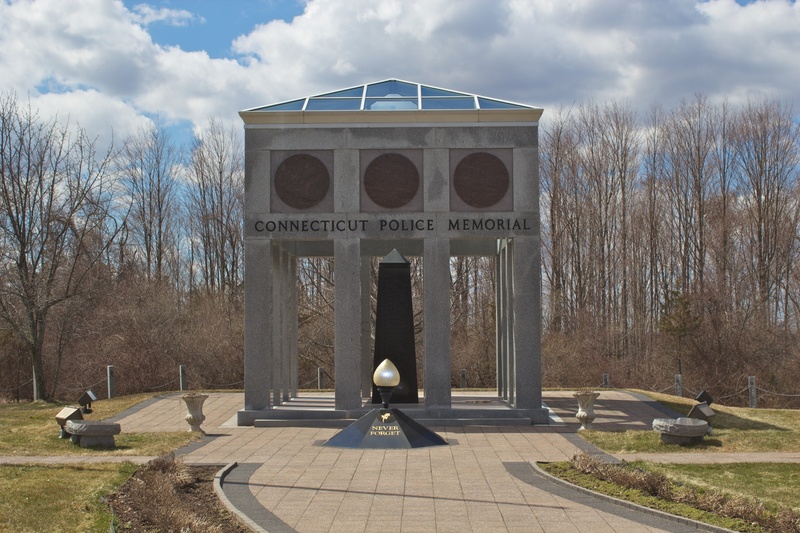 Connecticut honors law enforcement officers lost in the line of duty with a monument in Meriden. 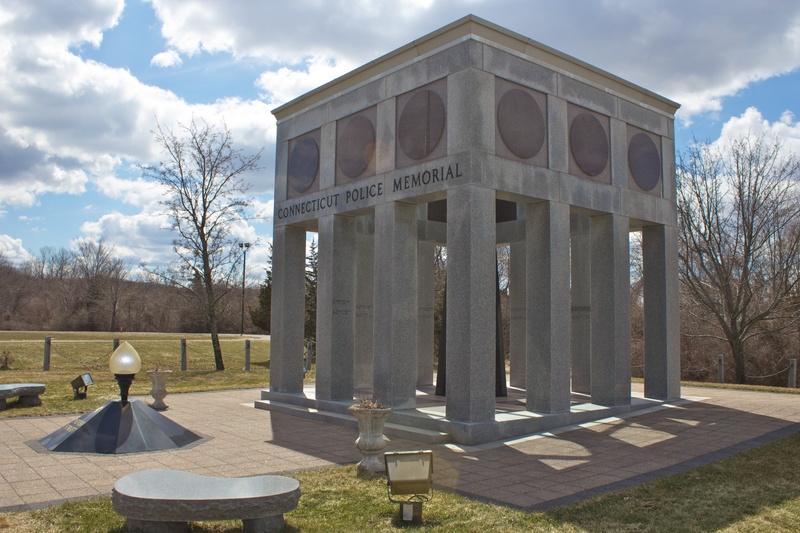 The Connecticut Law Enforcement Memorial, on the grounds of the state’s police academy on Preston Drive, honors 135 officers, dating back to 1855, who have been killed on duty. 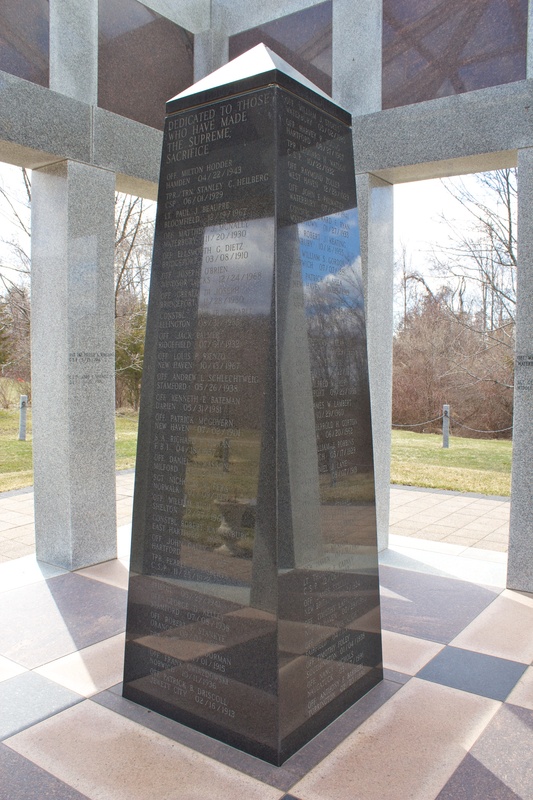 A black granite obelisk in the center of the memorial bears a dedication reading, “Dedicated to those who have made the ultimate sacrifice.” Names of fallen officers are inscribed on the obelisk as well as on the memorial’s granite columns. An eternal light, inscribed with the words “Never forget” on its base, stands in front of the memorial. 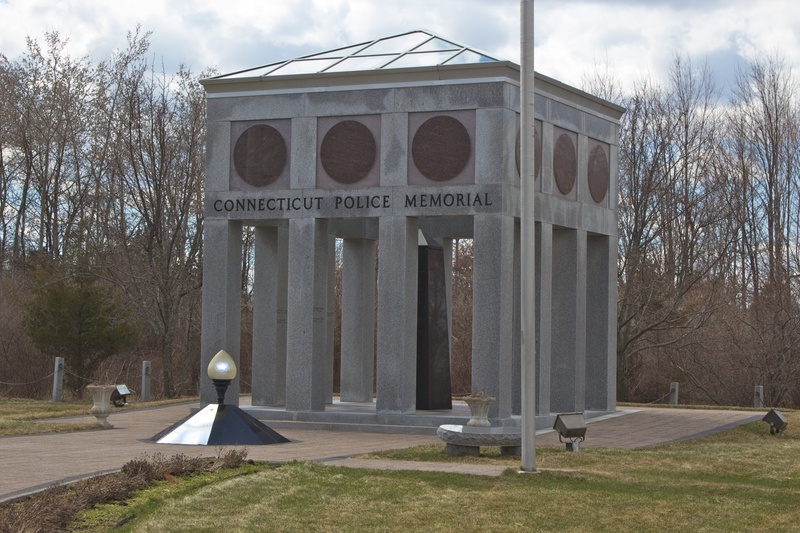 The memorial, spearheaded by the Connecticut Police Chief’s Association, was dedicated in 1989. 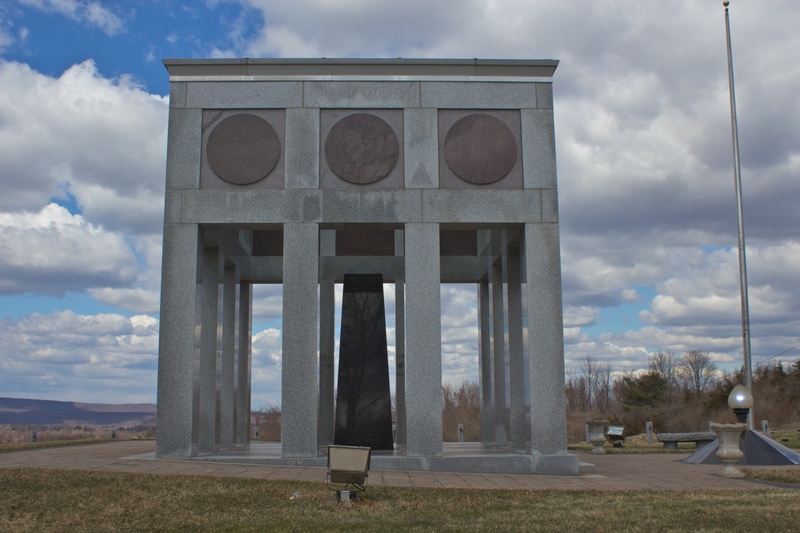 Every May, a memorial ceremony is held at the site. The 2011 ceremony is scheduled on May 18.